Sergii Chaikov and Sergii started a new business in Kharkiv, when they opened a handmade shoes shop. 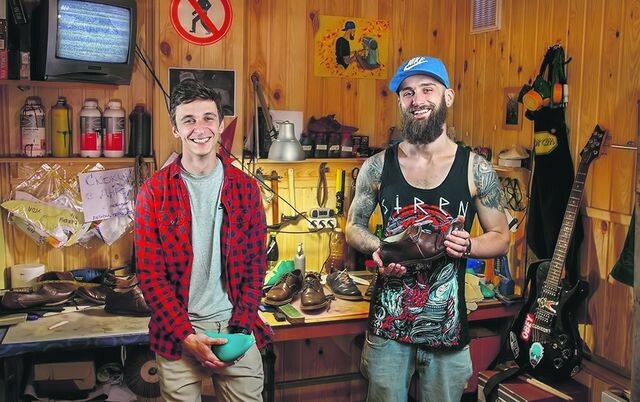 These two guys could not believe that this business would become so successful and people would feel this happy about their new shoes. Five hundred shoes were already renovated and they all look unique. To start with, the guys have found old, but of a good quality, equipment from brand manufacturers, sewing machines, machines for soles and shine machine, industrial dryer, and various screwdrivers and hammers. The first workshop was in their parents’ garage, where the guys worked for a year, before moving to a separate building. To make one leather pair of shoes it takes two weeks of work, sometimes three. The guys call their business profitable, with monthly income you can not only live on, but also a profit that can help develop the business and make people happy.